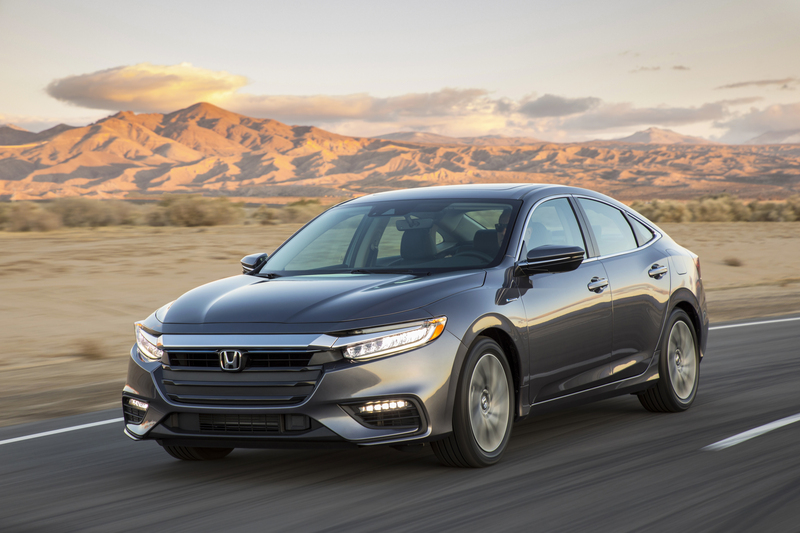 The 2019 Honda Insight hybrid production model took its first bow this morning, revealing itself as a five-seat compact sedan with an a big increase in fuel efficiency over its predecessor. Honda is estimating 55 mpg city fuel economy for the 2019 Insight – we’re expecting around 52 mpg combined city/highway when the official EPA ratings are released. That compares well to the previous generation Insight’s 42 mpg combined rating – not bad for a car that is larger and more powerful than its predecessor. Honda is slotting the new 2019 Insight – the third iteration of the Insight and the first since the last model was decommissioned after the 2014 year – as a premium compact. It will be priced between the Civic and Accord. It boasts 151 horsepower and 191 lb-ft of peak torque from Honda’s dual-motor hybrid system. That’s up from 98 ponies and123 lb-ft in the 2014 model. 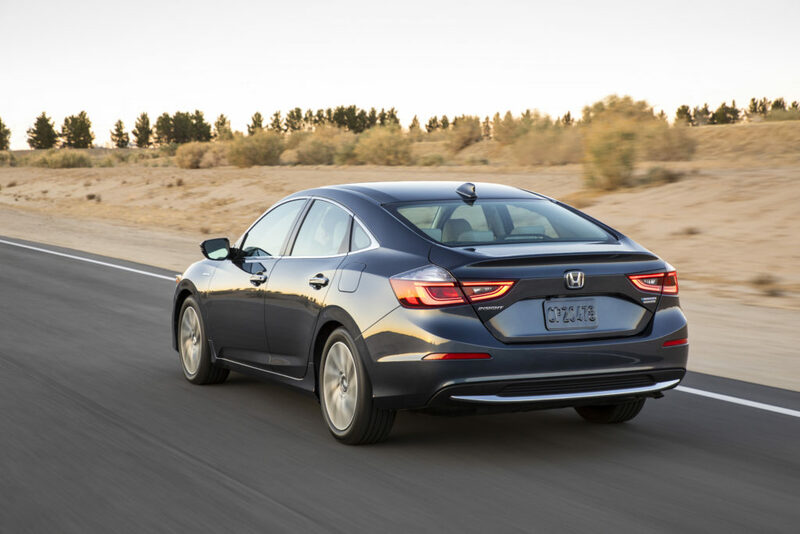 The 2019 Insight shares its platform with the 10th generation Civic that was introduced in 2016. That’s not a bad thing as the Civic has been praised for its smooth ride and precise handling. The Insight’s lithium-ion battery pack has been located beneath the rear seat, freeing up valuable cargo space previously used for batteries. The result is 15.1 cubic feet of trunk – the same as the 2018 Civic sedan. The previous Insight was a hatchback with 15.9 cubic feet of cargo room under the rear hatch. 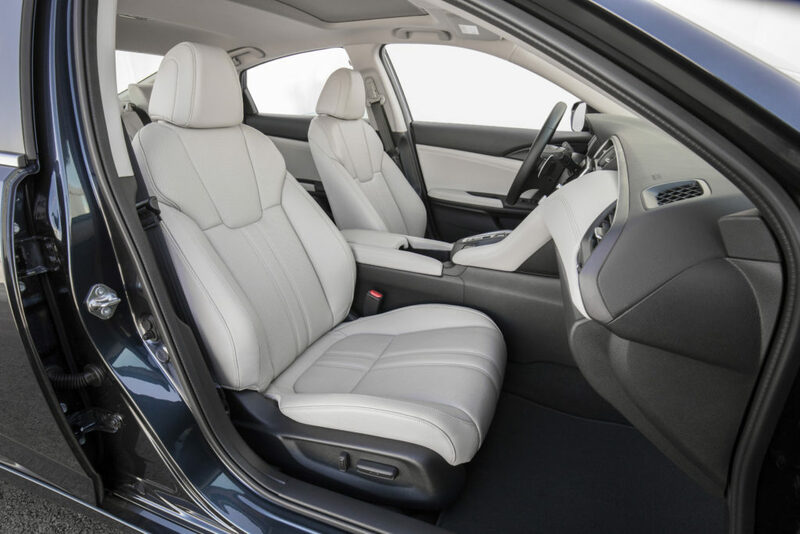 The 2019 model’s standard fold-down rear seat increases cargo capacity when that seating isn’t needed for passengers. Honda says the 2019 Insight will hit dealerships this summer, in three trim levels: LX, EX and Touring. Standard features on all trim levels include 16-inch wheels and tires; LED headlights, taillights and daytime running lamps; a 7-inch driver information screen; a six-speaker audio system, and heated side mirrors. Design-wise, the production model launched at the New York Auto Show stays pretty true to the Insight concept unveiled at the Detroit Auto Show in January. Jaguar I PACE SUV to Start at $70,495 in U.S.